Freeport, home of shopping giant L.L. 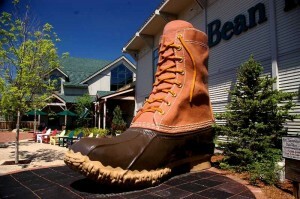 Bean, will be adding to its annual July 4 activities this year, as L.L. Bean has additional events planned. This year, 2012, is the 100th Anniversary of the founding of L.L. Bean and this week is their “Hometown Celebration” with special events, concert and fireworks display in Freeport.